In-game communications between players on the PS3 is to be extended and improved this summer, according to Sony Computer Entertainment Europe managing director Ray Maguire. At a recent trade event, Maguire said: "Our momentum will continue with the introduction of in-game communication in the summer, firmware update 2.4 and the strongest line-up of games through our third party partners and our own studios." Of course, certain games (such as Warhawk and Socom and the soon-to-be-released Haze) already feature in-game voice chat between players. TechRadar can only suppose that Maguire is referring to an extended and improved in-game comms service. Though whether or not this refers to in-game cross media bar (XMB) instant messaging and/or voice-chat with other friends anywhere on the PlayStation Network is yet to be revealed. “One can only assume that Sony will make use of the PlayStation Eye in some interesting ways to improve the in-game comms,” noted freelance games journalist, Steve Boxer, when TechRadar asked him how Sony was to improve the current offering. 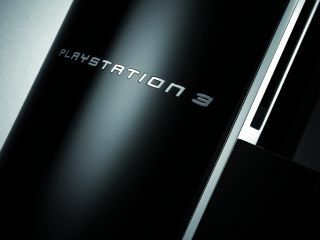 TechRadar spoke with Daniel Dawkins, editor of PSM3 Magazine, this morning who told us: “This brings the PS3 up to parity with Xbox Live, the key difference being that it’s free". TechRadar also spoke with Sony Computer Entertainment reps this morning. They informed us that they were currently not making any official announcements or issuing any further information on exactly how in-game comms on PS3 are set to be improved.